Pork, according to the Chinese, symbolizes strength, wealth, and blessings. It is said to represent abundance, which is why it is believed that eating pork during New Years will bring you prosperity and luck. Plus, we’ve also just entered the Year of the Pig, which means pork is now even more significant than ever! So if you’re looking to fill your 2019 with abundance and blessings, it might be a good idea to simply eat pork. What kind, though? Here are 8 yummy pork dishes we can’t help but crave now that it’s the Year of the Pig! Can this really be a list of delicious pork dishes if the Filipino all-time favorite is not in it? Lechon, a whole roasted pig cooked over charcoal, is a special dish in the Philippines that’s a staple in occasions and celebrations. You bet this will make you feel lucky! Why? Uhm, cos ANG SARAP, BES. Just be sure to hurry when there’s lechon around. Baka maubusan ka ng balat, and that’s the best part! Super tender pork leg doused in a sweet and salty sauce, Pata Tim is like that ex that’s hard to forget. Masarap ulit-ulitin. Choz. This pork dish is slow-cooked and braised in a soy sauce mixture until the meat is so tender it melts in your mouth. It’s really drool-worthy. Plus, partnered with a steaming cup of white rice? Extra rice na agad ‘yan! Later na ‘yung diet ‘cos…Crispy Pork Belly, guys. I mean, look at that—crispy golden skin and pork meat that really fills the tummy. And then dip it in sarsa too for that perfect combination of flavors! This juicy, oh-so-good pork dish is a classic Pinoy favorite that we’re just always craving, tbh. Inuman ba? Ilabas na ang Pork Sisig! And although this may be the ultimate Pinoy pulutan or beer food, it’s also SO GOOD with rice. Agree??? 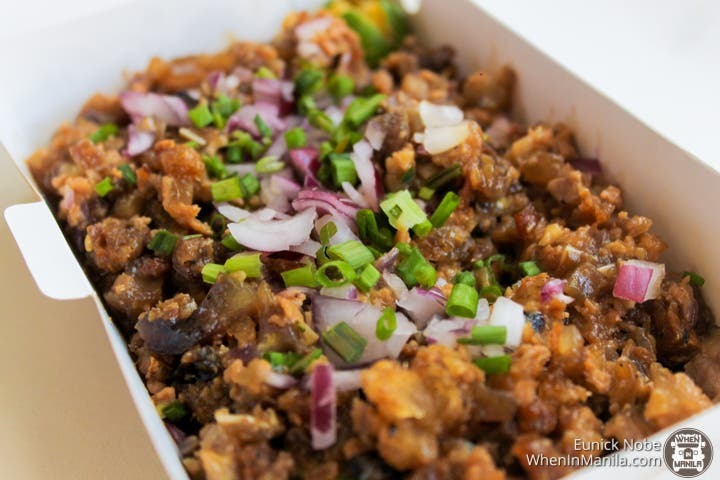 Usually served in a sizzling hot plate, Pork Sisig is made of minced parts of pig head, chicken liver, and mixed with onions and chili pepper (don’t forget to squeeze the calamansi on top!). This is a classic Filipino comfort food that’s hard not to crave. Putok-batok goodness that’s impossible to resist? Of course we’re thinking of Crispy Pata. This deep-fried pork knuckle dish is heaven in every bite. Especially when dipped in its staple soy and vinegar sauce! As the name suggests, the outer layer of the Crispy Pata, the pork skin, should be deliciously crispy, but a really good one should just be equally delicious inside, too. Tara, Crispy Pata date? Ah, Sinigang! Seriously, when are Pinoys not craving this? Doesn’t matter if it’s a hot day outside or not. Sinigang is ALWAYS a good idea. And though, technically, Sinigang can come in different variants too like Sinigang na Bangus or Sinigang na Hipon, there’s just still something about Pork Sinigang that hits closer to home. Korek? Because it’s the Lunar New Year, our top two in this list are Chinese pork dishes that Pinoys also love. The Chinese believe that eating pork is lucky, that’s why this Chinese recipe, Salt and Pepper Pork, is high up our list in number two! We love this one because every time we crave it, we can get it anytime at any Chowking branch. And guys, it only costs 99 pesos. And that serving even comes with egg fried rice (‘cos kanin is life) and Chicharap! Super sulit. Because of its “sauce palang ulam na” quality, Sweet and Sour Pork lands the top spot on this list. Who doesn’t love those deep-fried tender pork bites in that tangy sauce with the perfect balance of sweet and sour? 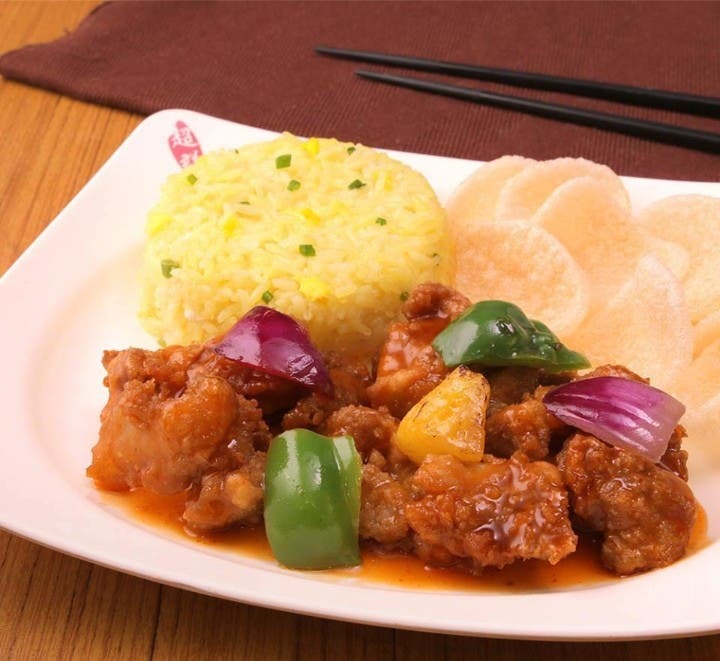 So if you’re reading this and you’re now craving this yummy and—most of all—lucky Chinese pork dish, good news is that Sweet and Sour Pork is also available at Chowking for only 99 pesos. With egg fried rice na. Yassss. For more lucky deals, which also means bigger savings, Chowking is offering 11 kinds of digital coupons that provide you with big discounts to your favorite Chowking meals. Just screenshot any (or all) of these e-coupons, and present it when you order at any Chowking branch. Get your digital coupons here! Which of these pork dishes is your favorite? Head on over now to the nearest Chowking to celebrate an abundant Year of the Pig! Kung Hei Fat Choi!